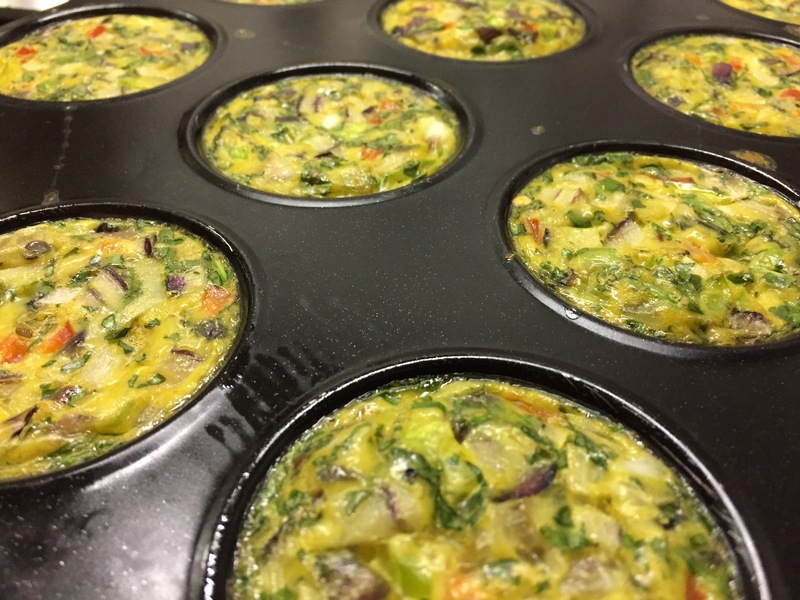 Handy to make in advance for a quick breakfast if you’re running late or on a lot of early shifts, but also great party food to serve to your guests. Very simple and quick to make and full of flavour. 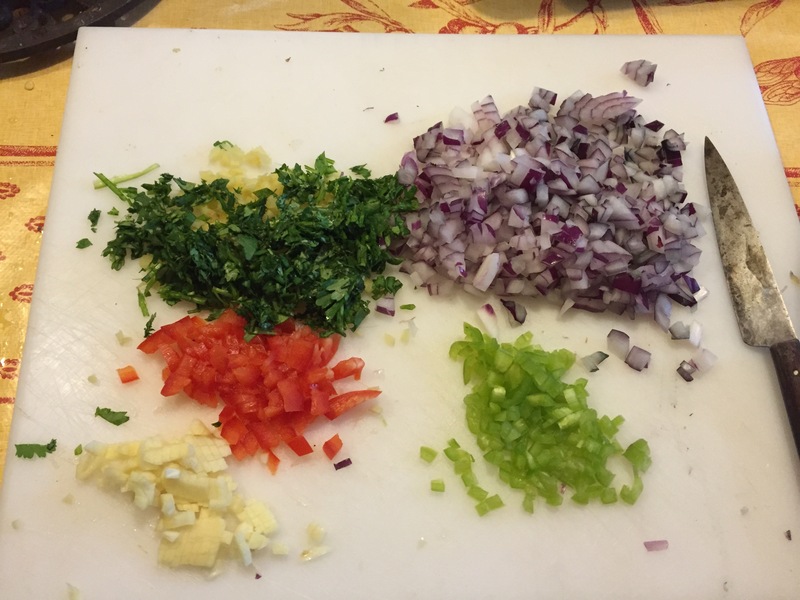 The key with this recipe is finely chopping the ingredients to ensure they all get packed into each mini-frittata. I did not create this recipe, it is from an online source for which I cannot remember the origin, so I apologise if this is your recipe and I have not credited you. 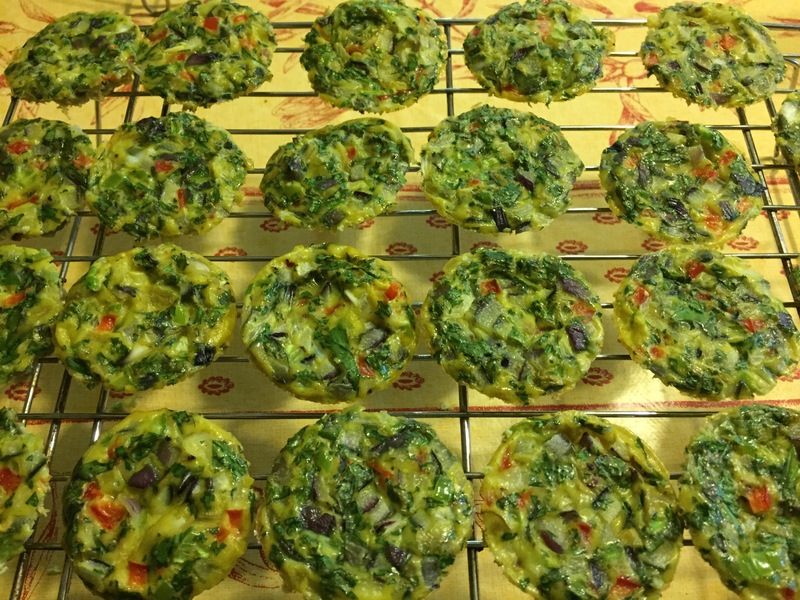 If you’re making these for a snack or for upcoming breakfasts, keep them refrigerated. Preheat the oven to 150C. 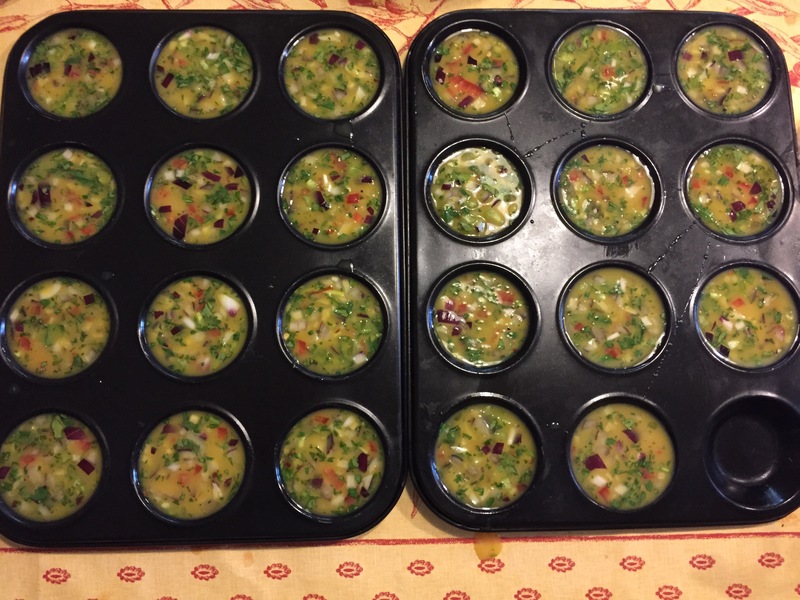 Liberally grease large mini-muffin tin with coconut oil or line the tin with mini-muffin cases. 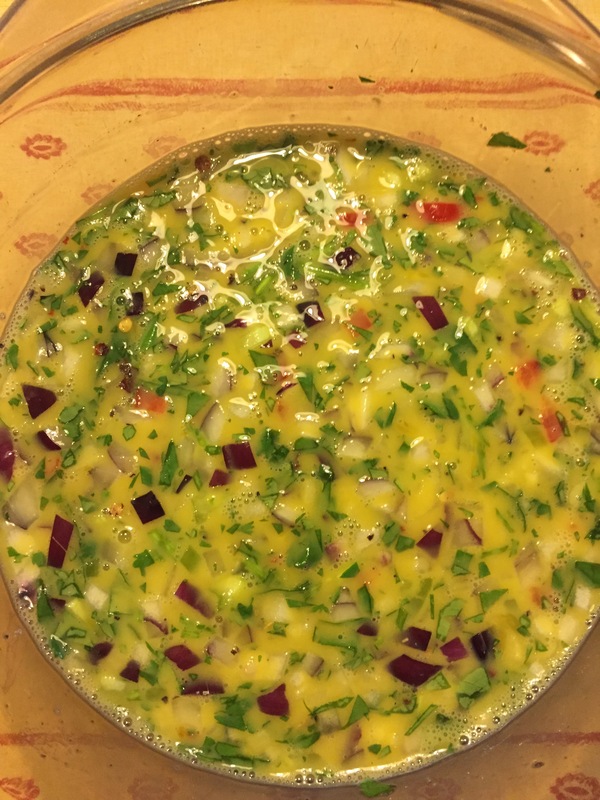 Beat the eggs in a large mixing bowl and then mix in all the ingredients together, season well. To check if the seasoning is correct fry a small amount in oil in a pan, adjust seasoning as needed. You can add more chilli, cayenne pepper, ginger, salt and pepper. Carefully fill the muffin tin holes about two-thirds full and bake for 10-15 minutes until they feel solid. I personally found it was closer to the 15 minute mark than 10 but it all depends on your oven. Once cooked allow them to cool for a few minutes before turning out onto a wire rack. You can reheat them the following day if you so wish but keep them in a sealed container in the fridge until you do. If you’re serving them for a party serve warm.